Dental implants are artificial titanium roots that are inserted in to the jaw bone to hold the replacement tooth in place. They are one of the most sought after treatment options for missing teeth. The implants can also be used to support dentures. You need to be in good health to undergo the procedure. People who can’t wear dentures are also good candidates for this procedure. Since dental implants are fixed to the jawbone, it’s also essential for the patient to have high jaw-bone density and quality. Patients with gum disease are not advised to undergo this procedure. If there is inadequate jawbone, bone-grafting can be done to increase the volume of your bone. In general, gum and jaw-bone health must be optimal before the surgery. Endosteal implants are inserted directly into the jaw. In this procedure, the roots are substituted by cylinders, screws or blades made of ceramic or titanium. After this, the implant is drilled into the jaw-bone. The implants lie inside the jawbone, just below the gums. The artificial teeth cannot be directly connected to the implants. After the implants are placed in the jawbone, posts are attached to the implants. The artificial teeth are then fitted over the posts. In many cases, 2 surgeries are required to complete the procedure. Healing of the gum tissue and bone regeneration can take up to nine months depending on the patient. Endosteal implants are best suited to people with low bone density. These type of implants aren’t inserted within the jaw-bone. Here, one metal framework is secured on the patient’s jawbone, just below his gum line. 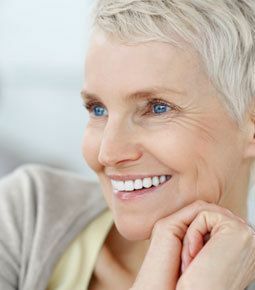 If the jaw-bone isn’t wide enough to take in the endosteal implants, the dental implants Livonia MI dentist may recommend the subperiosteal implants. The implants can only be fitted to lower jawbone. They are mostly not recommended because the surgical process is complicated and very extensive. During the procedure, a metal plate is attached at the base of the jaw-bone. This is done with the help of screws and posts fixed within the gum tissues. A surgical incision is then created beneath the chin to fit the metal plate with the screws. The posts are then fitted on top to fix artificial teeth. Patients with bone problems such as inadequate bone structure aren’t good candidates for the standard implants and are advised MDIs. If bone thickness is inadequate, fitting conventional implants may not give the best results. As their name suggests, mini dental implants have smaller diameter. This makes them ideal for fixing pre-molars, small teeth, or when the teeth are fixed to a narrow area. Unlike the traditional implants that take 6-9 months to heal, MDIs have shorter recovery time, because the procedure is minimally invasive.